More is better in this hefty collection of adornments for all occasions. One hundred projects are organized by season for ease of selection, whether it's the season for a summery Daisy Chain or Petal Rope necklace or the weather for an autumnal Fringed Pendant or Pearl Lozenge necklace. Also included are up-to-the-minute earring designs, sophisticated chokers, and the newest trends in brooches. 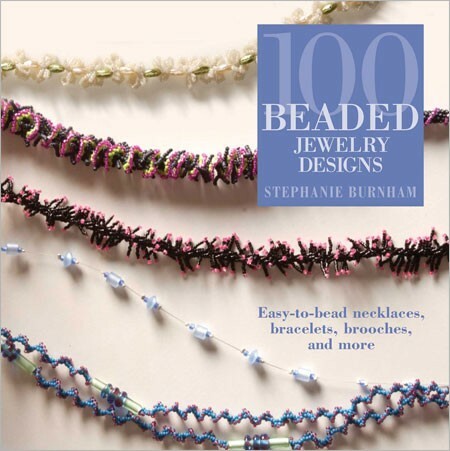 Designs draw from a huge variety of materials, from tiny seed beads to stunning focal beads made from stone, shell, or bamboo. Each project is like a recipe, with a list of needed materials and tools, numbered instructions, and the size of the finished piece. 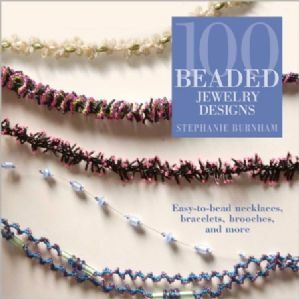 There is even a technique section to prepare beaders for every method they encounter, making this book a primer for those just starting out and a well of project ideas for those with more experience.